The great thing about the colder winter months is that they lend themselves to making heart-warming soups, stews and chilies. I recently made a delicious chipotle turkey chili (recipe to follow next week) and decided that cornbread would go great with it. Not just any cornbread, mind you, but this flavorful one that builds on the spiciness of the chili by adding jalapeños to the mix. In addition to the jalapeños, I like to add a can of Green Giant Mexicorn®* to give it a little bit of a crunch and color, plus some light sour cream to keep it moist. 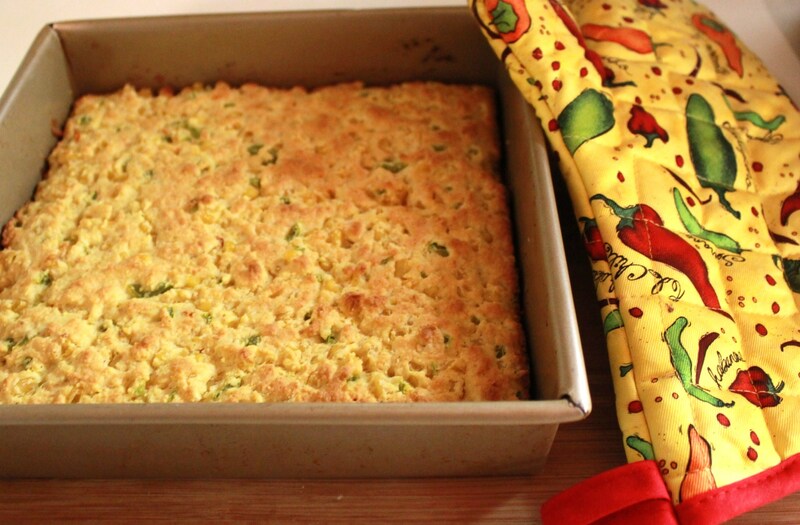 I made this wonderful jalapeño cornbread in a baking pan, but it works just as well in muffin tins. And it is heavenly just by itself (OK, maybe add a tiny bit of butter.) And remember, you control the heat with the amount of jalapeños you add – the more, the spicier! Preheat oven to 400 degrees F. Grease an 8-inch square pan. 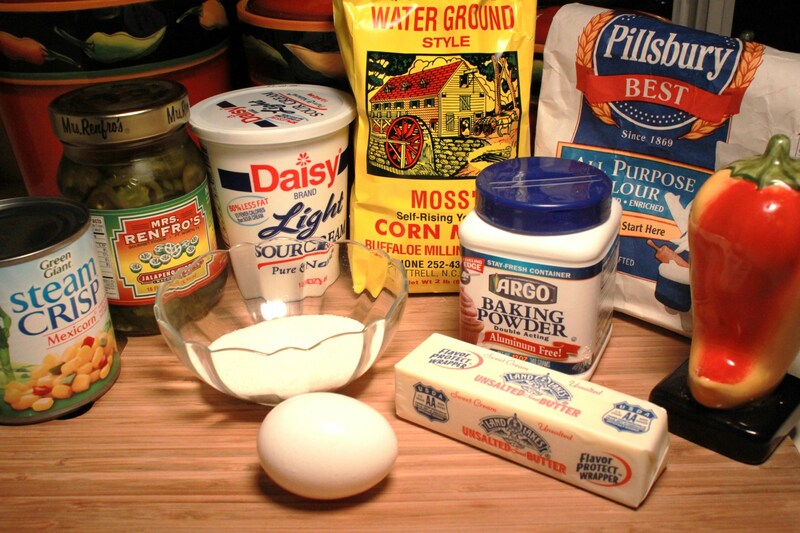 In a large bowl, mix together cornmeal, flour, sugar, baking powder and salt. 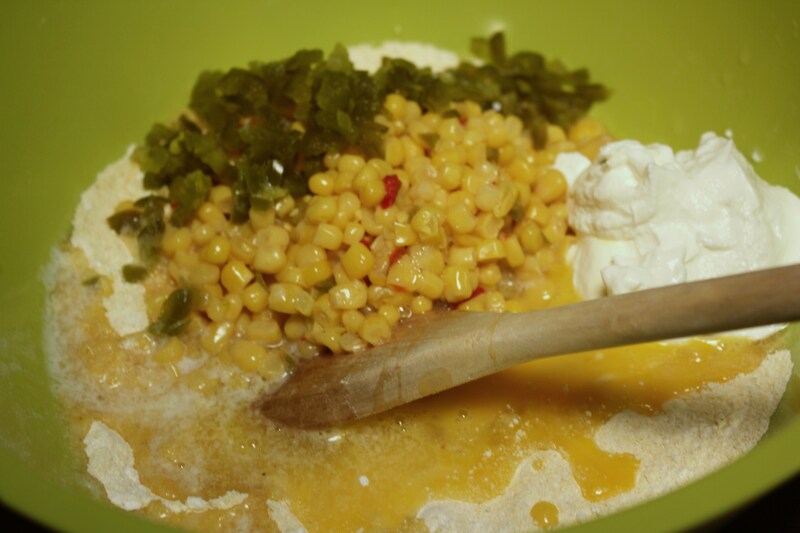 Add the canned corn, sour cream, butter, jalapenos and egg and stir until blended. Spoon the batter into the pan. Bake for 20-25 minutes, until the top starts to brown and a toothpick inserted in the middle of the bread comes out clean. Let cool for 10-15 minutes before slicing. Serve with your favorite soup or chili and grab a nice cold beer to wash it all down! 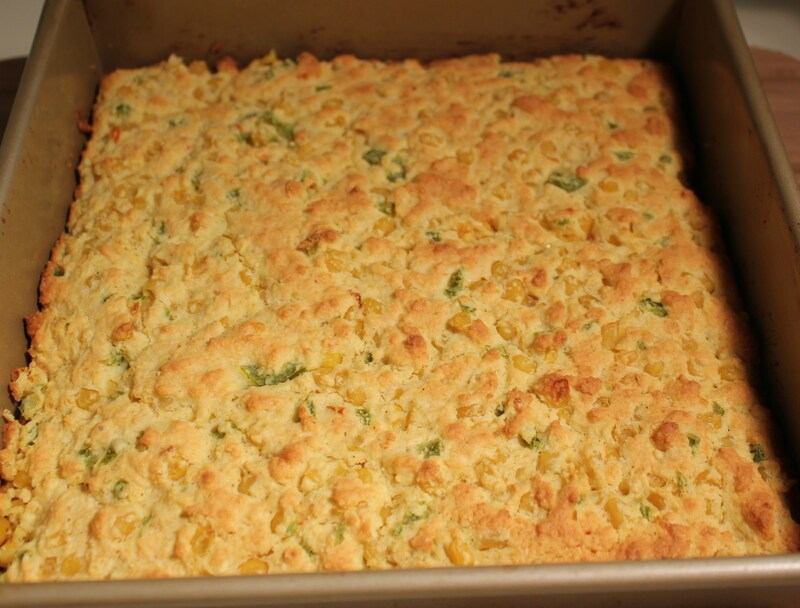 This entry was posted in Breads, Recipes, Vegetables/Vegetarian/Vegan and tagged cornbread with Green Giant mexicorn and jalapenos, eat drink and be merry, jalapeno cornbread recipe, kel's cafe of all things food, Kelley Chisholm recipes, spicy jalapeno cornbread. Bookmark the permalink.